It's a commonly heard phrase: Stop being so sensitive. These words can be frustrating to hear, and if you are an emotionally sensitive person, they often have the opposite of the desired effect. You cannot simply switch off your emotions like you would a TV show or a radio station playing an annoying song. But there are effective techniques that can help you manage these emotions before they take over your life. Do you or someone you care about experience episodes of extreme and unpredictable anger? The first thing you need to know is that you are not alone. Researchers estimate that some seven percent of Americans may at some time experience a condition called intermittent explosive disorder (IED), which is characterized by reoccurring periods of extraordinary anger, and millions more have less frequent yet equally damaging experiences with rage. The second thing you need to know is that there is help. Incredible and best of all...hopeful for those who experience rage. 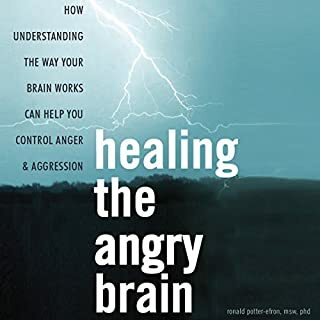 Healing the Angry Brain can help you short-circuit the anger cycle and learn to calmly handle even the most stressful interactions. 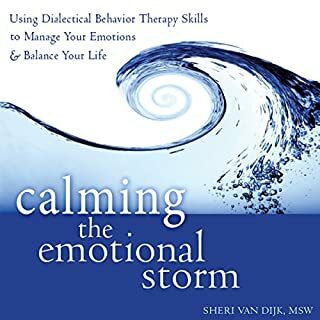 You will learn which areas of your brain are causing your reactions and discover how to take control of your emotions by rewiring your brain for greater patience and perspective. 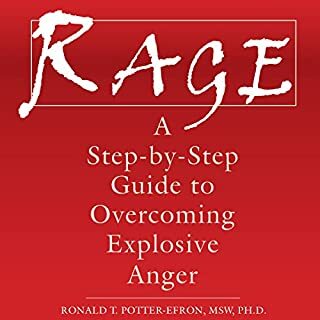 This fascinating, scientific approach to anger management will yield long-term results, helping you develop greater empathy and put effective conflict resolution skills into practice for years to come. When you eliminate negative thoughts and energy from your life, you'll feel a sense of calm an inner peace like you've never felt before. But this is the power of negative thinking - when you turn your negative thoughts around, you actually create more energy and power that moves you into the direction you want to go in your life faster than you've ever moved before. We argue to protect our viewpoint when we could just as easily let the argument go and be happy. Learn how to reprogram your mind and subconscious habits and never have another unnecessary argument again! By the end of this book, you should have the necessary mental tools for becoming assertive, rather than aggressive, and calm when necessary. If you’re tired of being controlled by this unpredictable emotion, take matters into your own hands and listen to this useful guide. 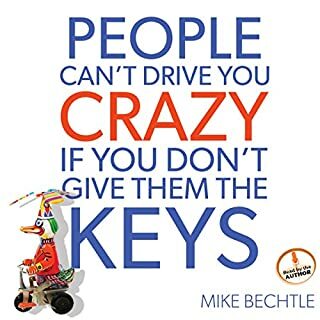 Do you find it difficult working with certain people? Do you find your blood pressure rising during your conversations with them? Do some people seem to continually step on a nerve? How do you deal with them? What changes can you alone make that will equip you to be a steadier collaborator? Welcome to 10 Ways to Make Sure You Never Stop Being Defensive. We will discuss many things about defensiveness and the ways we can overcome it. I learned a lot from the short book. In today’s culture of instant gratification, patience has become a dying art. We’ve been trained to want something five minutes ago, though yesterday would be even better. Impatience has become ingrained in us. Fortunately, your mood, attitude, and knee jerk reactions are not set in stone. The impatience that you’ve learned can actually be unlearned. Even better, your bad habits can be replaced by good ones. While anger is a normal emotion, when it goes unmanaged, it can wreak havoc on everyone else's life, including your own. 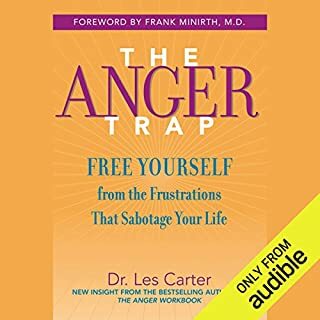 Whenever you are unable to control the fits of anger, the end results are often destructive, leading to problems in personal relationships, at work, and overall affecting your entire existence. Anger can damage your relationships and health when you don't express it at all, if you express it unsafe ways, or if you express it at the wrong time. Do you tend to struggle in personal or professional relationships? Do you find it difficult preventing others from walking all over you? Or do you simply feel that people don't treat you with enough respect? If so, then it is likely that you have trouble establishing functional boundaries with the people in your life. This book will inform the listener of the basis of boundary setting, through visiting their past, healing it, and finally moving beyond. It will demonstrate how to develop emotionally by improving self-esteem, which is a necessity for a healthy personality. Anger is universal. Unchecked, it can cause lasting damage in our lives: wrecked relationships, lost jobs, even serious disease. Yet in these increasingly stressful times, all of us have acted in anger - and often wished we hadn't. Is there a way that really works to solve problems and assert ourselves without being angry? 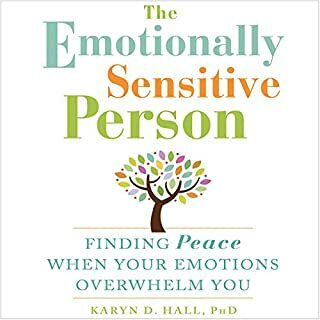 This audiobook is packed with exercises, techniques, and tools to improve your assertiveness, self-esteem, and level of confidence for the long run. This audiobook will encourage you to start working on your new self to greatly improve your chances of success. It may help others but I didn't find it useful. Practical, proven self-help steps show how to transform 40 common self-defeating behaviors, including procrastination, envy, obsession, anger, self-pity, compulsion, neediness, guilt, rebellion, inaction, and more. 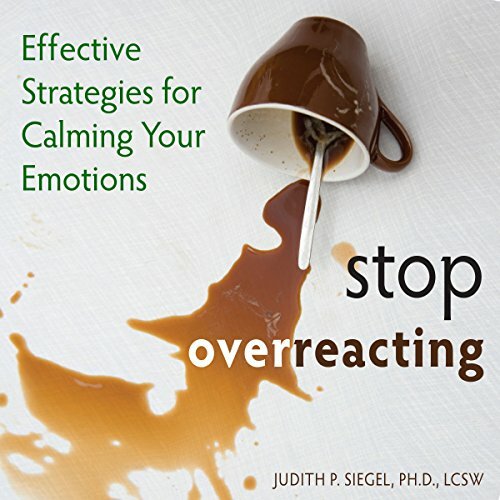 Stop Overreacting helps you identify your emotional triggers, discover a new way of processing impulsive thoughts and feelings, and understand how your emotions can undermine your ability to think rationally in moments of crisis and stress. You'll learn how to neutralize overwhelming emotions and choose healthy responses instead of flying off the handle. Ready to make a change for the better? It's time to stop overreacting and start feeling collected and in control. It is coming with a lot of examples to help me understand emotions; Easy language. Loved this approach. Very practical. Narrator was easy on the ear. My first audible book! loved it. need to hear this if you struggle from ANY kind of emotional turmoil. The content is good but the reader lacks intonation. She sounds like machine reading sometimes. It spends too many times talking about problems and very little about solution to them. I'm not one of those people who create solutions only by gaining insight. So this book does not work for me.